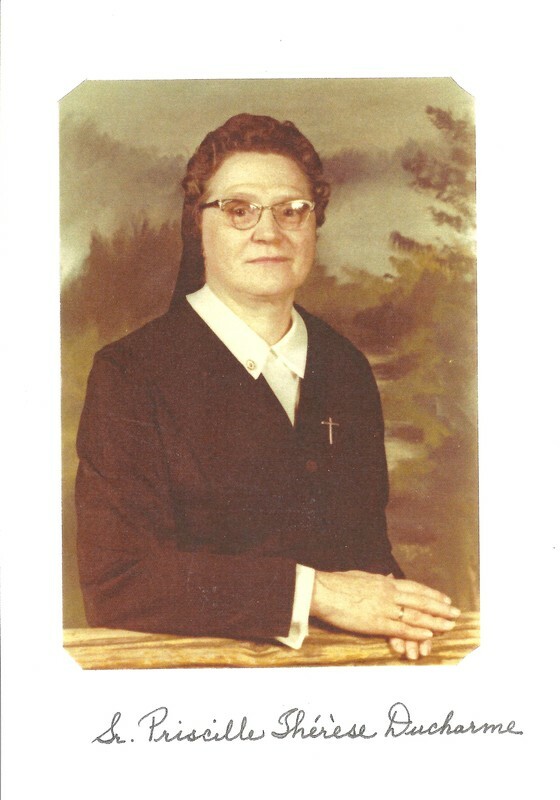 Sister Priscille Thérèse Ducharme was born in Saint Joseph, Ontario, the daughter of the late Alfred and Adelina (Masse) Ducharme. She entered the Ursuline Community in 1933. During her 69 years as an Ursuline Religious, she served the community as homemaker in Toronto, Windsor, Woodslee, London, Mt. Carmel. 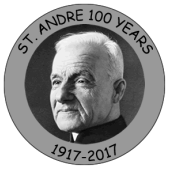 Stratford, McGregor, Edmonton and worked in “the Pines” Infirmary and in Pastoral Work at the Public General Hospital in Chatham. Sister Priscille Thérèse entered Eternal Life on April 12, 2002 at the Ursuline Motherhouse Infirmary in Chatham, Ontario. Ducharme, Sister Priscille Thérèse entered Eternal Life on April 12, 2002 at the Ursuline Motherhouse Infirmary in Chatham, Ontario. She was born in French Settlement, Ontario89 years ago, the daughter of the late Alfred and Adelina (Masse) Ducharme. SHe was in the 69th year of her life as an Ursuline Religious of the Diocese of London. During those years she served the community as a homemaker in Toronto, Windsor, Woodslee, London, Mt. Carmel, Startford, McGregor, Edmonton and worked in "the Pines" Infirmry and in Rastoral Work at the Public General Hospital in Chatham. She is survived by sisters, Sister Rosalie DUcharme, OSU, Veronique Papineau. Predeceased by brothers, Leo, Hubert, Avila, Blaise, Cyrille, and sisters Gertrude, Sarahm Albine, Alphonsine (Peg) Stanberry, Theresa Hartman. The mass of Resurrection was celebrated on April 15th in the Holy Family Chapel, Ursuline Convent "The Pines". Interment was in St. Anthony's Cemetery, Chatham.